Ever since the adoption and practice of online marketing activities, there has been a drastic change in the approach to customers to crack profitable deals. Today most customers are tech-savvy, and prefer to pick the right product or service at the right price. Moreover, it is becoming harder for marketers to keep a track of the customer’s online behavior and interests. 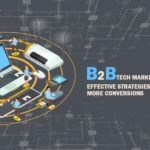 Fortunately, upcoming modern marketing technologies like marketing automation mainly focus on untangling online marketing issues.